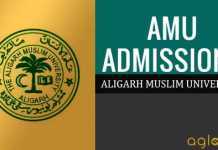 The Aligarh Muslim University (AMU) Result 2019 is declared shortly after the University has released the official answer keys for the exam. The applicants who will participate in the AMU course entrance exams can see their results online on www.amucontrollerexams.com from the link, provided below. As the entrance exams for different courses were held on different days, the dates of result declaration also vary for them. Hence, the links for all the results are made active on this page with their declaration. The candidates are advised to stay in touch for the latest updates and news on the Result of AMU. No separate counselling call letters are issued for selected candidates. Rather, a notification is released specifying the exact date, time and venue for the AMU counselling. The dates notified for Interview / G.D. / Counselling/Admission shall strictly be followed. Candidates can keep a track regarding the dates from below. 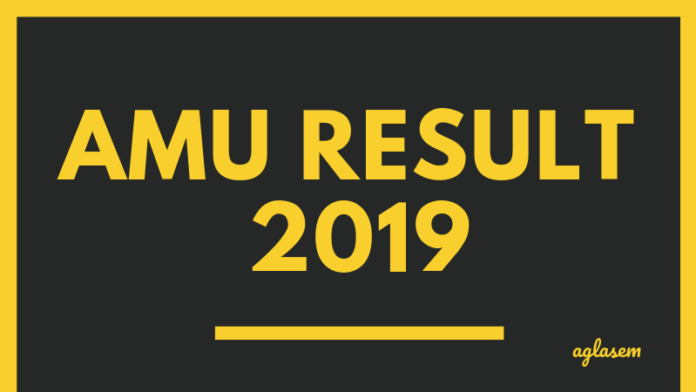 Result: AMU Result 2019 will be announced on the official website: www.amucontrollerexams.com. The admissions in various entrance exam based courses will be done only after the candidates have qualified the exam. The merit lists have been released for the reserved as well as the unreserved candidates separately. Candidates can follow the instructions provided below to download their AMU Result. Firstly visit the official website and find featured section. Then Click on the link of “general admission test”. After that click on the link of “Result admission test”. Then Click on the link relevant to your course. Admission to Test Courses are given through Counselling (wherever applicable) / Select List. No separate Intimation letters will be sent to the selected candidates for Counselling (wherever applicable) /Admission. Some of the candidate related details and some exam related details are mentioned on the AMU Scorecard issued to a candidate. AMU Scorecard is only valid for the year of appearing the entrance exam only. Candidates are advised to check the following data, prior downloading it! The released result will be accompanied by the cutoff release which will be the limiting score to shortlist the candidates. Cutoff marks will be different for different categories. The candidates scoring marks equal to or more than the cutoff will be considered for admissions and rest will be disqualified. The merit list contains the names of the candidates in the increasing order of their ranks which will be allotted on the basis of marks in the exam. The merit lists for all the courses will be made available soon after the declaration of AMU Result. Qualified candidates are then required to submit their choices for college and course combination over official website, www.amucontrollerexams.com. As per the cut off marks and the marks secured by a candidate, he/she is further called for a round of document verification round. This is the counselling round, conducted by AMU. 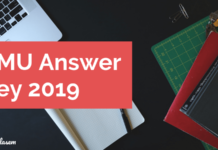 On this basis, a candidate is offered a seat allotment letter to report as per the allotted time and date to clear the admission formalities and freeze the seat under their name. On this day, a candidate needs to carry a list of original and a copy of each of these documents. Please inform me about the releasing date of Amu BA hons result .and also notify me when it will be released . The result expected to be release by this week.Kindly stay connected. there is no fixed date from official site,will update as soon as it come.Check after some time please.All the best. the merit list will be available soon. Its out on their official website. Good luck! hey there the result will b released soon. Is has not been declared yet,check after some time…will update as soon as possible.